The world of college athletics was rocked on Tuesday after four Division 1 coaches were arrested as part of a wide-ranging investigation into fraud, bribery, conspiracy and corruption in college basketball. Joon H. Kim, acting U.S. attorney for the Southern District of New York, and William F. Sweeney Jr., assistant director-in-charge of the New York Office of the Federal Bureau of Investigation (FBI), on 26 September 2017 announced the arrest of 10 individuals, including four Division I NCAA men’s basketball coaches and a senior executive at Adidas, in connection with two related fraud and corruption schemes. In the first scheme, college basketball coaches took cash bribes from athlete advisors, including business managers and financial advisors, in exchange for using their influence over college players under their control to pressure and direct those players and their families to retain the services of the advisors paying the bribes. In the second scheme, a senior executive at Adidas, working in connection with corrupt advisors, funneled bribe payments to high school-aged players and their families to secure those players’ commitments to attend universities sponsored by his company, rather than universities sponsored by rival athletic apparel companies. The three complaints unsealed on Tuesday charged four coaches – Auburn assistant Chuck Person, Oklahoma State assistant Lamont Evans, University of Arizona assistant Emmanuel Richardson and USC assistant Anthony Bland – along with athlete advisors Christian Dawkins, Munish Sood and Rashan Michel; as well as Adidas global director of sports marketing James Gatto and two others with wire fraud, bribery, travel act, and conspiracy offenses. The defendants were arrested Tuesday morning in various parts of the country. “The picture of college basketball painted by the charges is not a pretty one – coaches at some of the nation’s top programs taking cash bribes, managers and advisors circling blue-chip prospects like coyotes, and employees of a global sportswear company funneling cash to families of high school recruits,” Kim said. The charges in the complaints result from a scheme involving bribery, corruption, and fraud in intercollegiate athletics. 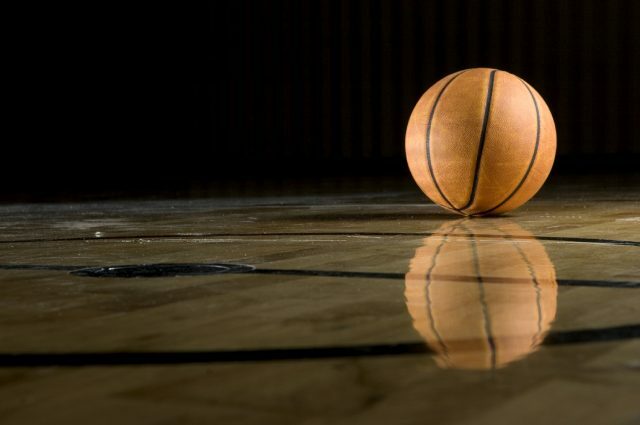 Since 2015, the U.S. Attorney’s Office for the Southern District of New York and the FBI have been investigating the criminal influence of money on coaches and student-athletes who participate in intercollegiate basketball governed by the NCAA. Participants in both schemes allegedly took steps to conceal the illegal payments, including funneling them to athletes and/or their families indirectly through surrogates and entities controlled by the scheme participants; and making or intending to make misrepresentations to the relevant universities regarding the involvement of student-athletes and coaches in the schemes, in violation of NCAA rules. Members of the United States Sports Academy faculty believe that this is just the beginning and that more collegiate athletics programs will likely be impacted by this investigation. They expect that allegations will go into higher levels of some programs. On Wednesday, the University of Louisville suspended head basketball coach Rick Pitino and athletic director Tom Jurich in connection with the alleged scheme. It also removed at least one player from team activities for his alleged involvement, according to a press release from the university. The Sport Digest will continue to follow this story and provide updates.